The product is good and soft and really handy while travelling. Overall an amazing product. The product was lovely, except that many hair fell out onto my hair an vanity upon usage. The hairs were soft and did not have a chemical smell, which I enjoyed. I just wished the hair were properly installed onto the base as to not come out all over my face and on my vanity. SUPER PINCEAU MERCI BEAUCOUP JE L'ADORE. Like very much great to use thanks. I really like this product and I'm thankful that you allowed me to test this product and give my honest opinion. I like the brush overall, but I do not like the fact that it isn't soft. The bristles are natural which is good but they are a little bit scratchy when u use the brush itself. It holds powder and distributes it very well. Bonne prise en main du produit, très satisfaite du test merci!! This product is great for powders such as setting powder, or baking powder and even applies blush good. I mostly used it to knock off my setting powder. my only complaint would be the texture of the brush. 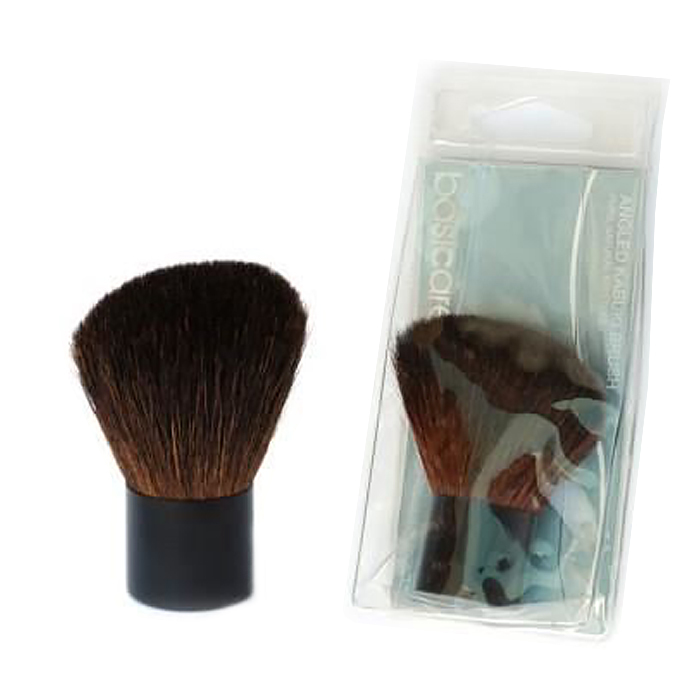 the bristles are rough on the face, when I used it to knock off excess setting powder it felt scratchy against my skin. I used the brush as a bronze brush and it did an ok job. However I noticed that the brush sheds every so often. It also had an unusual scent after I washed it and whilst drying. I'm not sure if this was a animal hair brush or synthetic, but I wasn't a big fan of the after washing smell. It also wasn't the softest brush I've ever used.